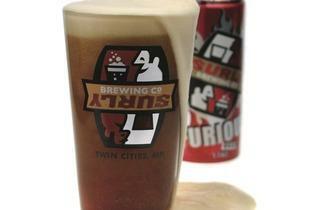 Minnesota's Surly Brewing Co.'s beers are now available in Chicago. 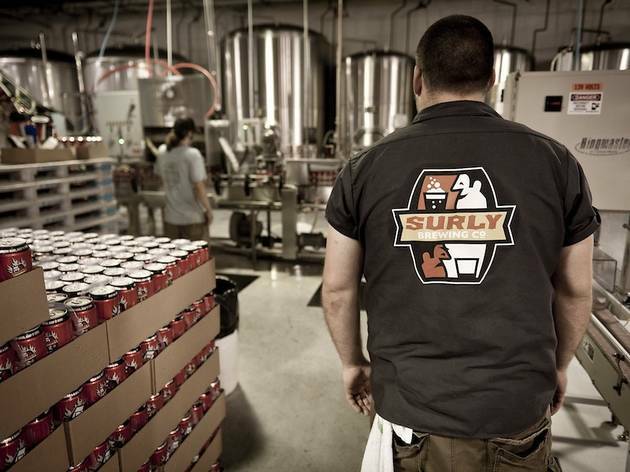 Photo courtesy Surly BrewingMinnesota's Surly Brewing Co.'s beers are now available in Chicago. 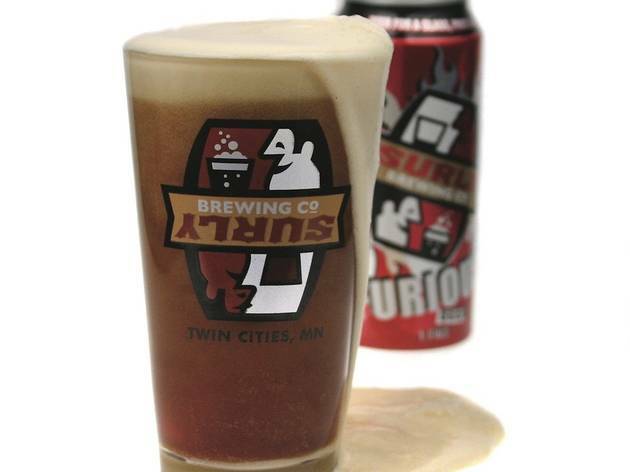 When Minnesota’s Surly Brewing Co. departed the Chicago scene in June 2010, it was like taking a toy away from a child who had just learned how to play with it—we weren't quite attached enough to throw a fit, but it left us a little confused and maybe a bit resentful. Surly became our Bigfoot, our Amelia Earhart, our white whale. For the months following the official departure, we'd be teased with a keg of Cynic here or a barrel of Bender there, but that wasn't long lived. That drought ended officially on Monday. 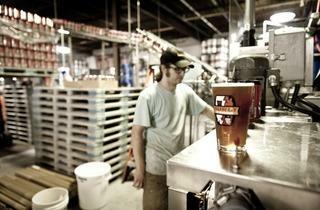 The brewery is building a second brewing facility in Minneapolis, which means its capacity has increased to the point where it's decided to jump back into the fray. 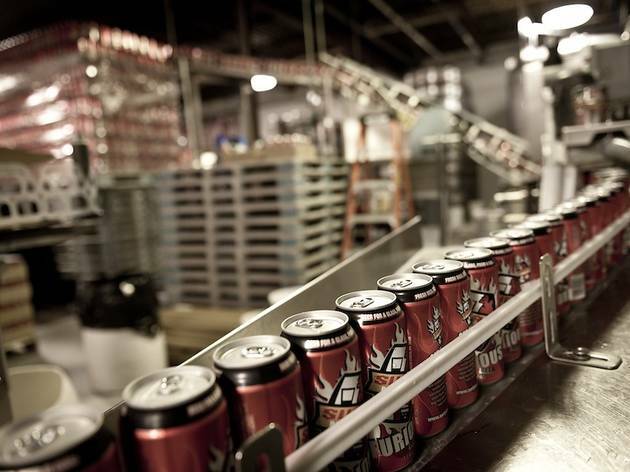 Between 2010 and now, Surly has doubled its output. 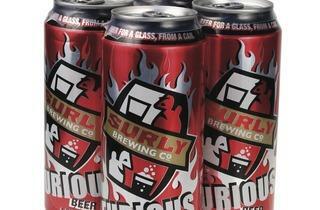 Brewer Todd Haug, who's been with Surly from the start, says production has gone from about 15,000 barrels a year then to somewhere around 30–35,000 now. Beyond that, Surly gained enough muscle to change Minnesota law so it could sell beer on-site at a production brewery, and while its Darkness Day festival doesn’t quite (yet) rival Dark Lord day, it’s popular enough to get more than 100 people in line a full 20 hours before the beer goes on sale. Chicago has also changed since 2010—we’re much more ravenous for craft beer than we were back then. “We’re already worried there’s not enough. When we left we were sending 30 barrels a month—now we're looking at doing two, three times that a week," Haug estimates. 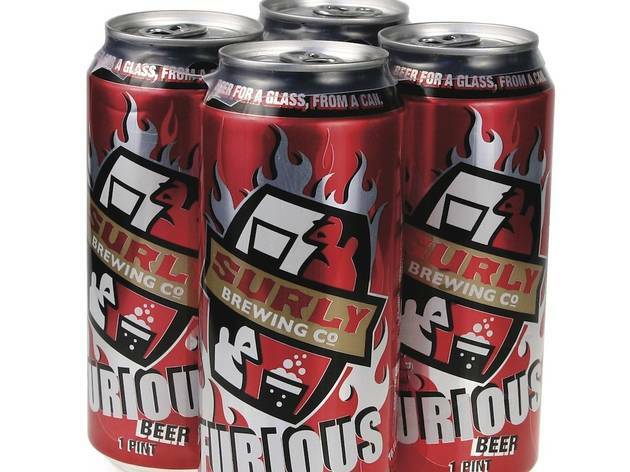 While many swear by Surly's Bender brown ale, the Hell dortmunder or the Cynic saison, it's the Furious that you’re most likely to stumble across first. She’s a doozy. 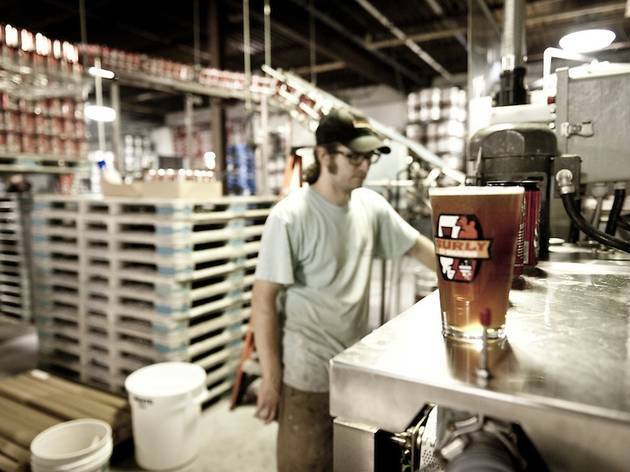 Brewed to fill a much-needed hole in the Minneapolis landscape, Haug explains the provenance. Furious more than fills it. The 99 IBUs (international bitter units) crush the palate with bitterness, while a variety of malts like 2 Row, Golden Promise and Dingemons back it up wholeheartedly. Furious is almost throat-scratchingly bitter up front, with a deep translucent brown hue and a wispy head. A blend of amarillos, simcoe, ahtanum and warrior hops come in so thick they’re almost chewy. After a crashing wave of bitterness, the malts rush back to a place where the beer is almost sweet, then wham—another rush of blazing sharp piney hops on the back end that lasts forever. The tail on this is so long that you could drink another beer and still taste this one after you’re finished. The flavor on this beer can stand up to such intense experiences like bleu cheese, blazing curry, hot fried chicken, fist fights and full-frontal car crashes. This much flavor means it’s almost too much for more than one at a time, depending on your palate, so buy one for that guy next to you sipping the Silver Bullet and watch him get all Malört-faced when he tries this for the first time. 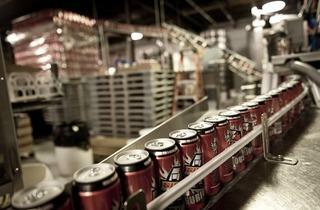 Surly has assembled a list of places it has sent brew to in Chicago. Cans are available in Chicago for the first time as well, with a list of package stores soon to come.